Gabor Breda 149 is a ladies court shoe. It features a leather upper and leather lining which offers breathability. The H width fitting allows for more room which is great for wider feet. 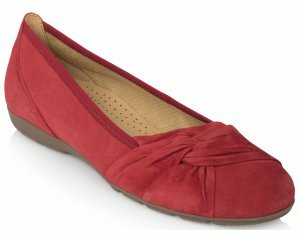 Velcro fastening provides adjustability and allows for easy on and off, while the 7cm block heel adds extra style to a comfy, everyday shoe. A versatile shoe to suit every occasion, whether it's at work or an evening out. Step into style with Gabor Breda 149!